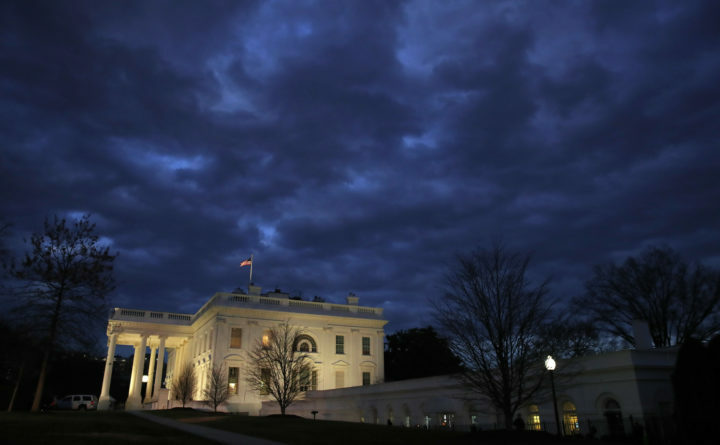 Clouds roll over the White House on Tuesday in Washington. The 2020 primary campaign is exploding 13 months before the first voters head to the polls. Candidates and potential candidates are hiring staff and traveling to key states all in a mad scramble to gain a leg up in what will be a rollicking Democratic primary. The second wave will likely feature political heavyweights like former Vice President Joe Biden, Vermont Sen. Bernie Sanders, New York billionaire Michael Bloomberg and former Texas Rep. Beto O’Rourke, whose advisers believe they have sufficient financial backing and name recognition to join the crowded field on their terms later in the first quarter should they decide to run. Associated Press writers Thomas Beaumont, Will Weissert, Bill Barrow, Elana Schor and Juana Summers contributed to this report.